After giving birth to her calf, a cow can freshen up with a couple of methods. The natural one includes letting the calf suckle milk from the cow and this automatically freshens her up. The other method is to milk the cow with your hands. This allows cow’s udder to drop milk into the teats and she is freshened up. No matter what method you adopt, the both practices will stimulate the cow to drop milk she delivers a calf. First of all, you need to impregnate the cow. The ideal age for this process is 18 months. You can go for artificial insemination or opt for live bull breeding for impregnating the cow or heifer. It will take nine months before the cow will deliver her calf. You have to feed a lot of water and high nutrition feed through the pregnancy period of the cow, so that she remains healthy at the time of delivering the calf. 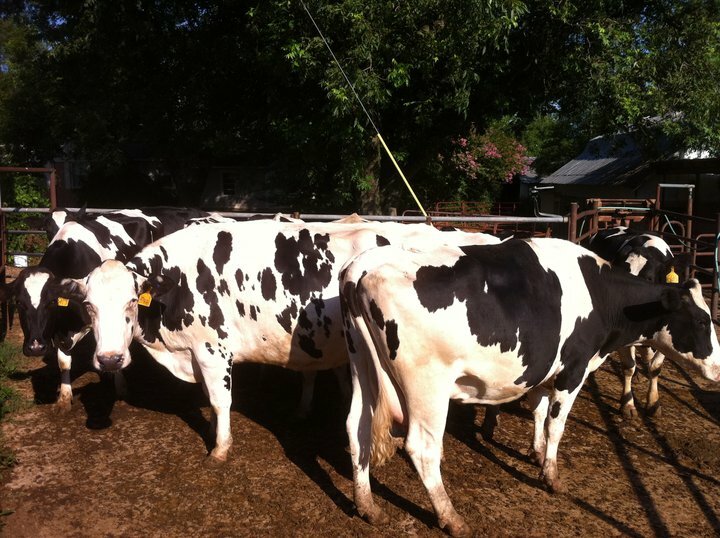 Keep your cow being examined by a vet every month and follow his instructions properly. Ensue that the calf stands to feet by itself. You can help the calf by pushing its head to the cow’s teats and let it feed. Once the calf has fed properly, move the cow to a milking stanchion and lock her head to it. Give her some grain and hay to eat and her concentration will be diverted towards the food. Sit on a stool by one side of the cow and place a clean bucket under her udder. Squeeze the upper portion of one of the four the teats between a finger and the thumb gently. While pulling down your hand, you have to curl your other three fingers towards the palm and squeeze your hand. Keep repeating this process until milk starts squirting from the cow’s teat. Keep milking each teat of the cow until milk stops coming out of them. You have to let the calf feed on the cow’s milk in the morning before you milk her all four teats. You should also make sure the calf does not drink too much milk at one time because this can cause diarrhoea to it. Keep milking the cow twice a day until pure white milk replaces the yellowish colostrums milk.